Systemics-PAB participated in IEICE Information and Communication Technology Forum 2017 held from 4th to 6th July in Poznań. The event, organised by the Institute of Electronics, Information and Communication Engineers at the at the Conference Center of Poznan University of Technology gathers the researchers, professors, PhD students and experts from industry to exchange ideas and discuss major trends and challenges in information and communication technologies. This year’s edition focused on presenting trends in the Future Communication Technologies and Applications. 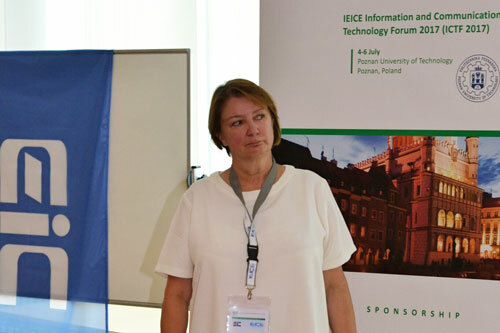 Ewa Tajkiewicz, Commercial Director at Systemics-PAB, held a presentation on “Channel Emulation in 5G”. Systemics-PAB is a leading distributor of Spirent innovative solutions for functional, performance and security testing of next-generation networks and applications that simulate real-world conditions in the lab, before a commercial launch and in the live network. Broad solutions portfolio addresses data centers, cloud computing, network virtualization, applications and security, high speed Ethernet networks and services, and test automation and management.